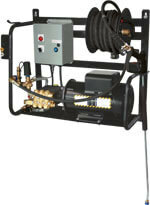 Wall mount power washers are medium size, medium weight (90 - 290 lbs.) 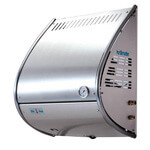 and are very convenient for usage in the areas with limited space. Since they run on electricity, they are very quite and easy to use. Compared to gas powered pressure washers they can be used and stored in closed area without worries regarding the exhaust fumes and gases. These washers come in two different types of frames. One is powder coat frame and the other is the stainless steel frame and both are equipped with wand and pressurehose racks. 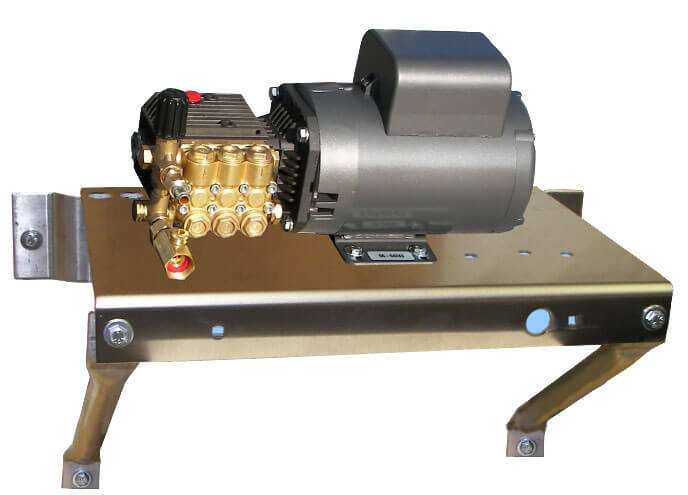 As such, they can be suitably placed on the wall saving much needed room on the floor.Pumps have ceramic plungers with replaceable stainless steel valves, forged crankshafts, roller bearings in oil bath lubrication. In addition, they are protected by a ground fault circuit interrupter for operator safety. Water pumps can handle fluids up to 180 degrees Fahrenheit and therefore they are great for use in any place that requires warm water powerwash cleaning. 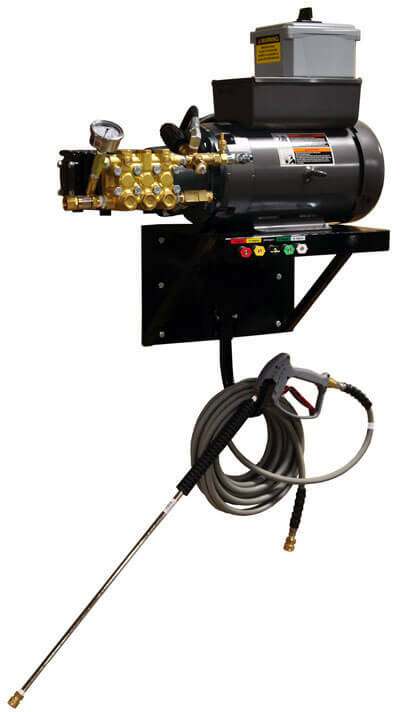 All our wall mounted electric powered pressure washers come with a downstream chemical injection for steady and even application of the cleaning solution, 50 FT of pressurehose for more freedom and uninterrupted work, professional trigger gun and heavy duty wand for secure grip and smooth operation. Some units come with auto start/stop feature. This feature will allow the unit to start automatically when trigger is pulled, and will shut down automatically when trigger is released. Your best choices for your best values! Dual Chemical Injection with 10' feed hoses: Allow you to switch between two chemicals tank, just switch the valve. Auto-Start/Auto-Stop (UNIT STARTS AUTOMATICALLY when trigger is pulled, and shuts down automatically when trigger is released. * 460 volts available on 3000WM/SSM3 only. Please call Toll Free 866-858-4982 for more information. 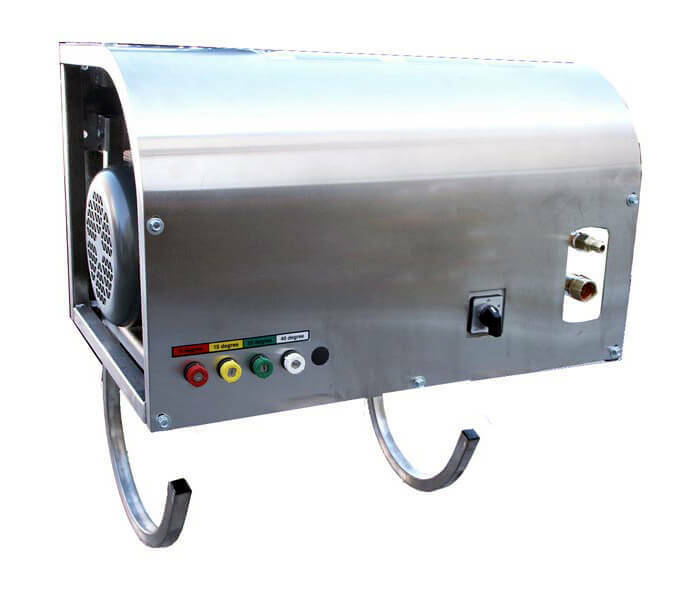 The auto-start / stop with time delays can be field installed, special ordered, or ship it installed on your wall-mounted power washer. 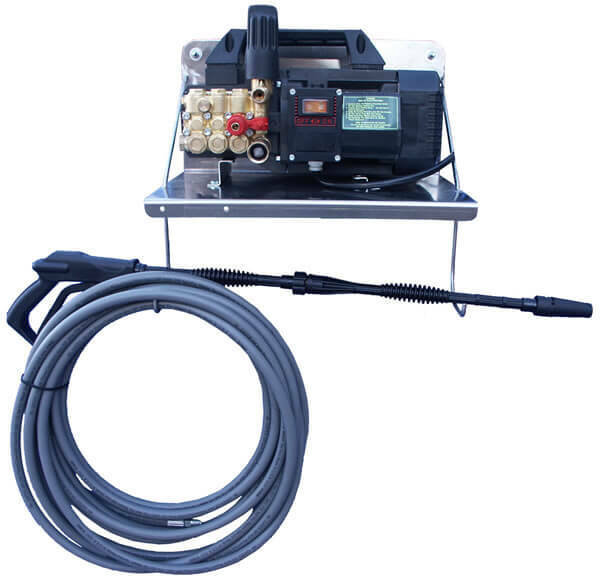 Note:If auto start/stop feature is purchased along with the following pressure washers on this page above (1000WM, 1500WM, 1500AEWM, 1500ADEWM, 1000WM/SS, 1500WM/SS, 2000WM/SS, 2000WM/SSM3, 3000WM/SS, 3000WM/SSM3), it will come installed when purchased at the same time. Ordering this part to install with any other unit will require proper installation by certified electrician. Ultimate Washer inc. assumes no responsibility for incorrectly installed auto start/stop kits. There are no returns or warranty issued. 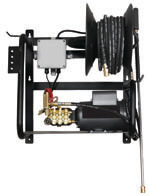 For information on gas powered pressure washers go to our Cold Water Models page. Powerwasher users who bought these models also bought the wall mount Swivel Hose reel.